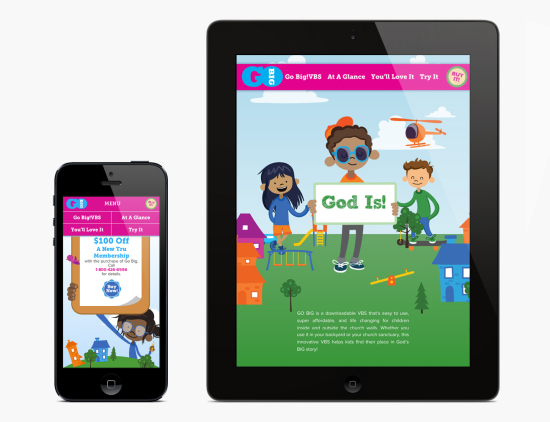 GO BIG is a downloadable VBS curriculum for children. This website features illustrations by Skylar Hogan at Edison Creative, which were made interactive with parallax animation. Scroll through the site to make things move around!